The value for money with breakfast included. The staff was incredibly friendly. Big rooms with lots of space and great to have a kitchen. The hotel was very clean, rooms basic but comfortable and cleaned daily. 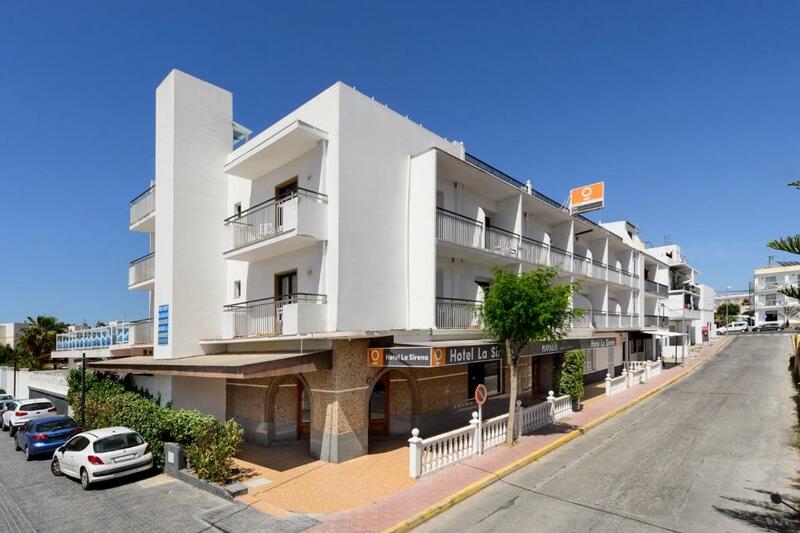 Very close to beach and main strip. Hotel quiet which is what we wanted and poolside was relaxed and comfy sunbeds. Breakfast was excellent, lots of veriety, eggs cooked fresh and however you wanted them. Great selection of fresh fruit, meats, pastries and breads. Will defiantly return. I don’t know if it is a good option for such price for Ibiza.. maybe.. I didn’t check other facilities. Breakfast is quite decent (except coffee) - even for me being a vegetarian there were options to eat. Friendly helpful staff! Loved the pool area and the breakfast was banging! 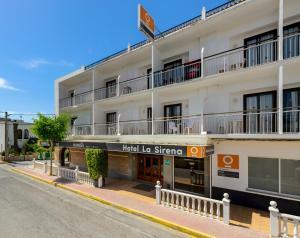 Lock in a great price for Aparthotel Club La Sirena – rated 8 by recent guests! 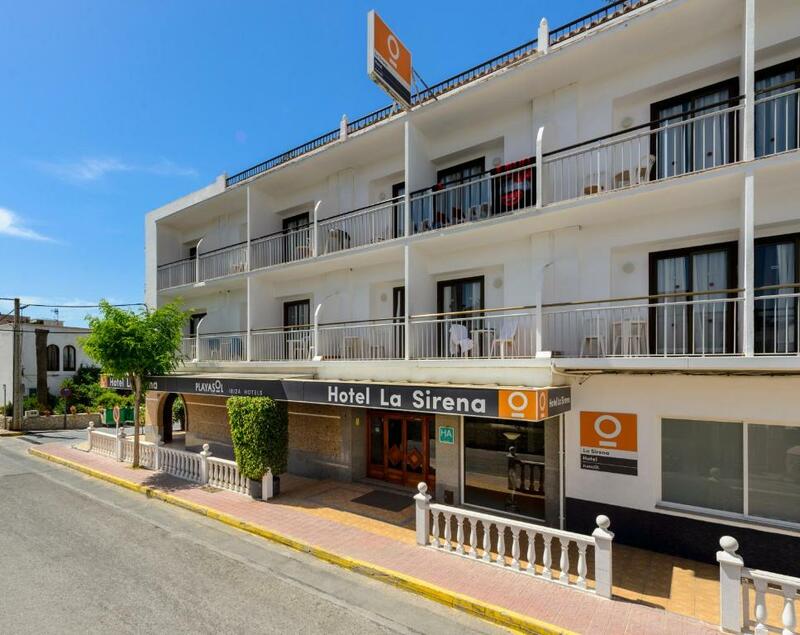 Aparthotel Club La Sirena This rating is a reflection of how the property compares to the industry standard when it comes to price, facilities and services available. It's based on a self-evaluation by the property. Use this rating to help choose your stay! 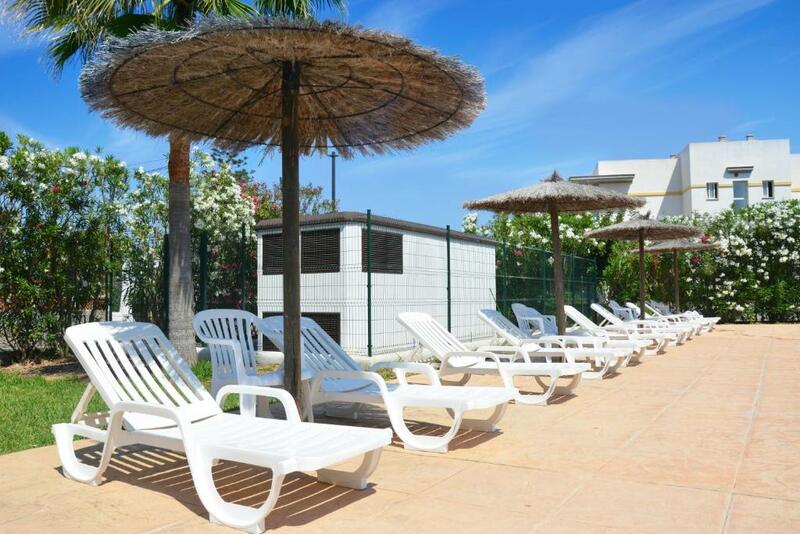 Offering an outdoor pool and a gym, this hotel is only 3 minutes’ walk from the beach. 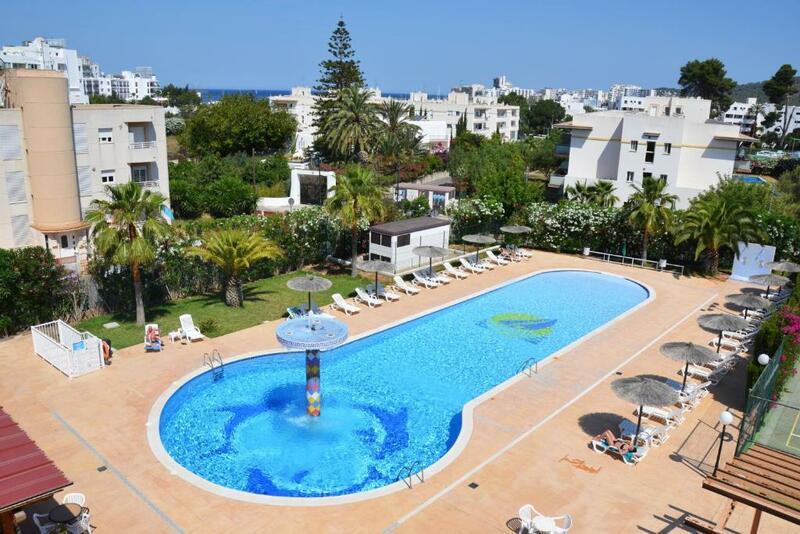 Aparthotel Club La Sirena features a large sports court. La Sirena has a pool-side bar and a restaurant. There is also a lounge and a games room with a billiard table. The pool area has a sun terrace with free hammocks. 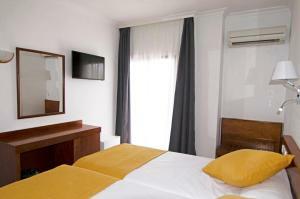 The air-conditioned rooms come with free WiFi, a satellite TV and a kitchenette. They have a private bathroom and some of them offer views of the pool. 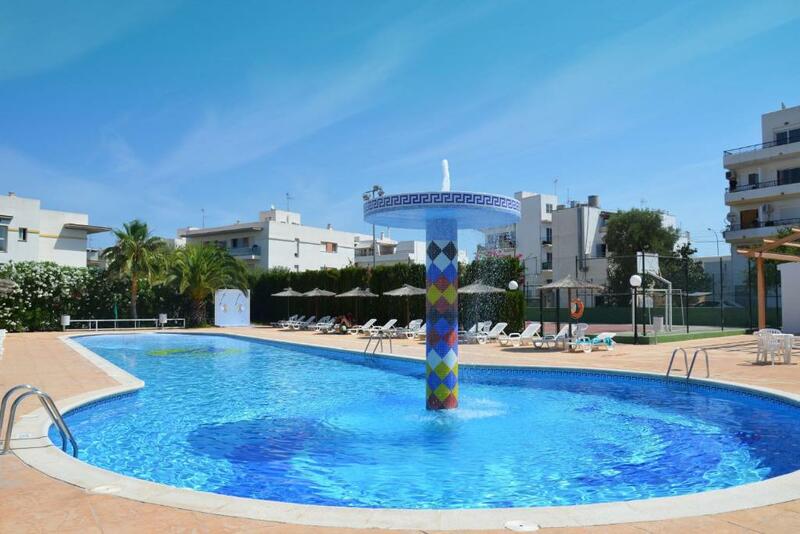 Water sports and other activities can be practiced in Es Puet Beach, which is a few feet away from Aparthotel Club La Sirena. Located in San Antonio Bay, the town center is 1,950 feet away, while the harbor is less than 0.6 mi away. Ibiza Airport is a 23-minute drive. 뀐 Located in the top-rated area in San Antonio, this property has an excellent location score of 8.1! 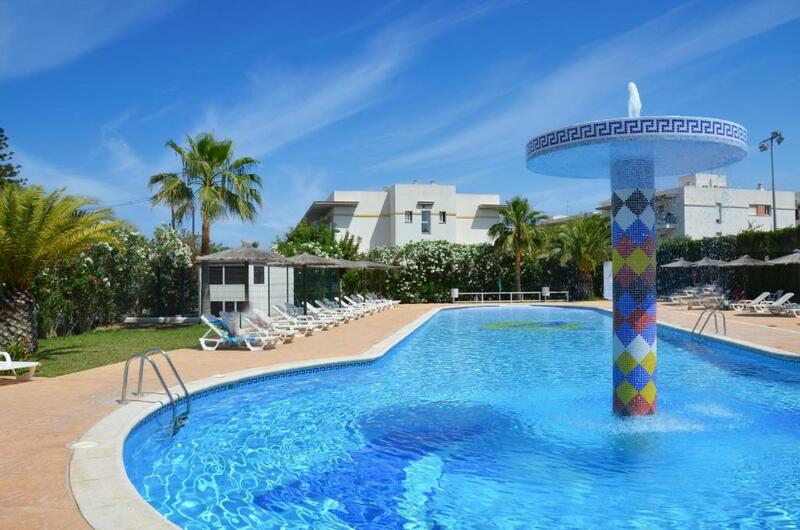 When would you like to stay at Aparthotel Club La Sirena? This studio has a balcony, kitchenette with a small fridge and air conditioning. Free WiFi is available. 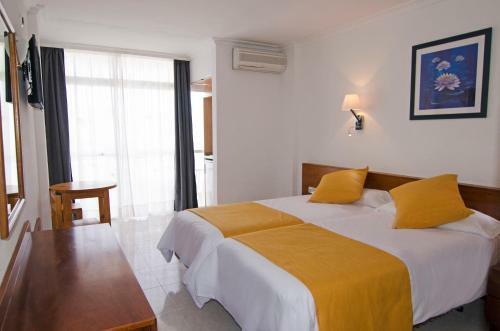 This air-conditioned room features 2 single beds and a private bathroom. It comes with a work desk, a satellite TV and a balcony. Free WiFi is available. This studio has a balcony, air conditioning and a kitchenette with a small fridge. Free WiFi is available. This single room has a balcony and air conditioning. Free WiFi is available. This studio features a balcony, satellite TV, air conditioning and a kitchenette with a small fridge. Free WiFi is available. Have fun, enjoy and relax. Our location, service and facilities combine design, comfort and quality. Aimed at the most demanding of customers, we assure you a wonderful stay. We have exclusive spaces where you can unwind. 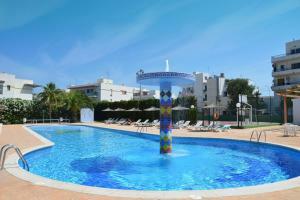 You will find many entertainment options and gastronomic variety in the hotel and in the surrounding area. 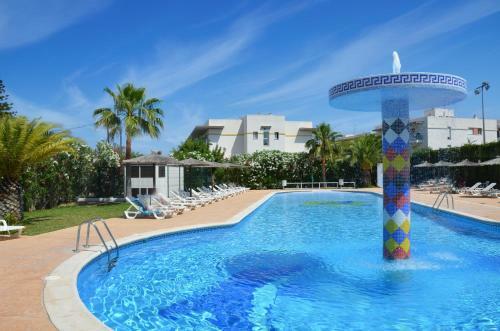 House Rules Aparthotel Club La Sirena takes special requests – add in the next step! Aparthotel Club La Sirena accepts these cards and reserves the right to temporarily hold an amount prior to arrival. The two single beds pushed together, not great for a couple and mattress and bed was sliding all over the floor. Hotel is very dated and really needs to be renovated. There were alot of cats and flies around the pool area making it difficult to enjoy it. Staff were lovely and couldnt do enough. Single room. Tiny. About 2 metres wide. Room 214 smelt a bit damp or something. Prob because close proximity to shower etc. Pay more for other rooms which are lovely. WiFi although saying was strong could hardly get it to work. So had to use my data. .
Just a tad further out of San Antonio hustle and bustle but it was nice to have a bit more peace and quiet. Better selection of snacks at the bar maybe light lunches like toasted sandwiches, chips ECT. The shower was a little tricky to work and easily overflowed, leaving the whole bedroom floor watery. The air con was also temptemental and turned off randomly. But I’m sure that can be fixed. I spent very little time in the room anyway!